Much of the professional game of snooker encompasses the notion of competition. Thus, the competitive nature of sport is surrounded by the thoughts of mental toughness in order to accomplish the best possible chance of winning. I present some elements that are focal to a winning mentality in snooker of which I have previously written for a former World Snooker Champion. I have focused on elements of mental toughness that stem from the idea of ‘self talk’ as a positive contribution to winning in snooker and finally, goal-setting strategy for practice and performance development in snooker. A winning mentality and momentum is unique to the game of snooker. Throughout the history of snooker there have been multiple World Champions from Joe Davis in the 1900s to the current World Champion, Mark Selby. However, a winning mentality is underpinned by a wide range of components that make up the spirits of mental toughness. Work ethic – This characteristic encompasses encouragement, preparation before and between matches, perseverance, in order to continue a winning momentum despite the results, time management in terms of daily life and independence from your own thoughts. Resilience – Being able to cope with loss as well as reflecting on your performance and improvements. Personal values – This really comes into play with our conversation regarding what motivates you and what you’re grateful for. Concentration and focus – You have the knowledge, experience and skills to focus on the game. Avoid any distraction and time the game of snooker to your advantage. Performance awareness – Being aware of your performance per frame or even shot with a concentration, focus and emotion. Tough attitude – Try and make sacrifices where necessary to improve both your mental health well-being. Adopt a disciplined nature to practice and performance. Be optimistic with shots that you take. Coping under pressure – Try to block out all negative thoughts and eliminate them by adopting a higher level, of interest, concentration and focus. Competitive effort – Each frame requires a natural effect of competition, so like we discussed, keep hitting your opponent until he’s down and out. Be a risk taker – Avoid any negative consequences and take the risk of playing your shots with confidence, concentration and focus. Value your opportunity to get ahead of the game. Finally, use a degree of emotional control and understanding throughout your performance. –Never let your opponent know what you may be thinking or feeling. Steve Davis and Stephen Hendry were able to be emotionally intelligent naturally, but it’s a skill that you can learn that’ll help you. With every snooker player there seems to be a notion of ‘self talk’, as it’s soloist sport, self talk can be considered a benefit in supporting an angle of your play, as I’ve noticed that most snooker players do have some tendency to self talk (talk to yourself). This is a key role in the development of a snooker professional as we know that snooker is a soloist sport, so self talk is quite common in the competitive nature of the game. Self talk can be personalised as a negative or positive reaction. In this case, I’m going to give you some hints and tips on how to make it positive. Self talk has a causal link with anxiety but if it’s positive words that you express to yourself this will help reduce the anxiousness. So, stimulate your thoughts with a sense of belief that you are competent and able to effectively deliver and complete the task, with words like ‘I can do this’. Create a changing mood, even when the situation looks negative, use desired words such as ‘I am going forward’, ‘I have the perfect shot’, ‘It’s going in the pocket for me’. Control the game by saying to yourself ‘pick it up’, ‘stay with it” or ‘focus and concentrate”. This, in turn, should give you feelings of confidence and personal control in the game, even when the chips may be down, this mantra could very easily be able to turn the match around. Affirm your abilities, skills and experience in snooker, coupled with a notion of self-belief. Muhammad Ali did this a lot by stating he was the greatest on numerous occasions, and you too can say the same thing through quiet self talk. Finally, in order to accomplish a winning mentality through the the lens of mental toughness, preparation is essential. Therefore, goal-setting before, during and after a competitive game of snooker is essential to ensure that you have a sustainable focus on your mental toughness. Goal-setting is linked to your motivation and there are two types of motivation. The first is extrinsic, so the goals that you have outside of snooker such as your family, home life and lifestyle goals e.g., diet. The other goal is an intrinsic goal, the goals you have within you and your snooker. I’m going to look at motivating the intrinsic side. Though both the extrinsic and intrinsic goals have a relationship between each other such as what you achieve on the inside has consequences for the outside. Basically, there are three types of goals that I’d like you to think about. Firstly, outcome goals which focus on the tournaments that you play in. So, focus on the outcome of the tournament and say to yourself that you’re going to win. Also focus on the amount of ranking points that you wish to collect for the season and build up the outcome around this. Secondly is your performance goals. 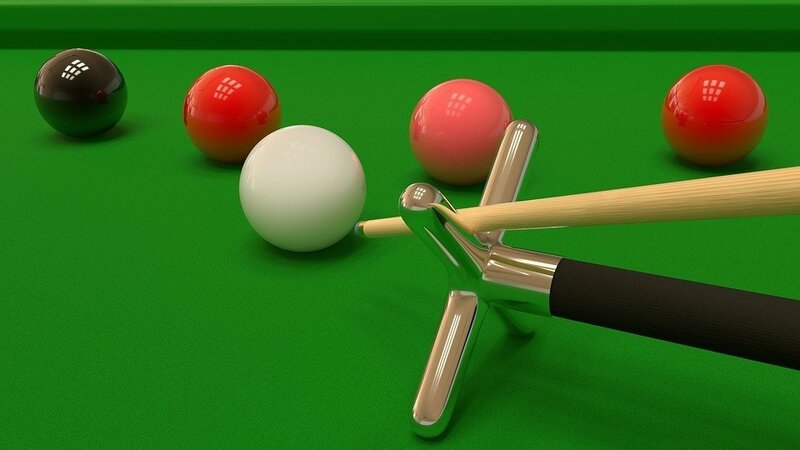 Specify the performance that you intend for each frame of snooker in a tournament. For instance, your goal is to reach over 70 points per frame or to be two or three frames ahead of each match. Whatever the circumstances, you should attempt to perform in order to accomplish the best possible goal. If not, motivate yourself based upon the positive aspects of your performance. Finally, there is the process goal – during and while your performance – reflect on your behaviour exhibited through the performance; this includes your technique and its effectiveness and delivery of shots. If all three elements of goals that we have discussed are processed all together, your outcome, performance and process should ensure that you have a winning game. In conclusion, these basics steps to mental toughness in professional competitive snooker can contribute to solidifying a good outcome for all games, especially from the professional perspective. Memory in the Real World: How Reliable is Eyewitness Testimony?